The Giveaway is now closed. Well done to the winner Lisa King. Good morning and welcome to this week’s fabulous giveaway. The lovely people at Kit Out My Office have given me £200 to give away to one lucky winner, to spend on the brilliant UCLIC home office desk range. The UCLIC Home Office Desk range is made in the UK, extremely easy to build, FSC approved and comes with a 10 year guarantee. The range itself is extensive, so it’s worth looking at the complete selection here, if you’re in the market for a new desk, but here’s a little idea and some of my top picks. 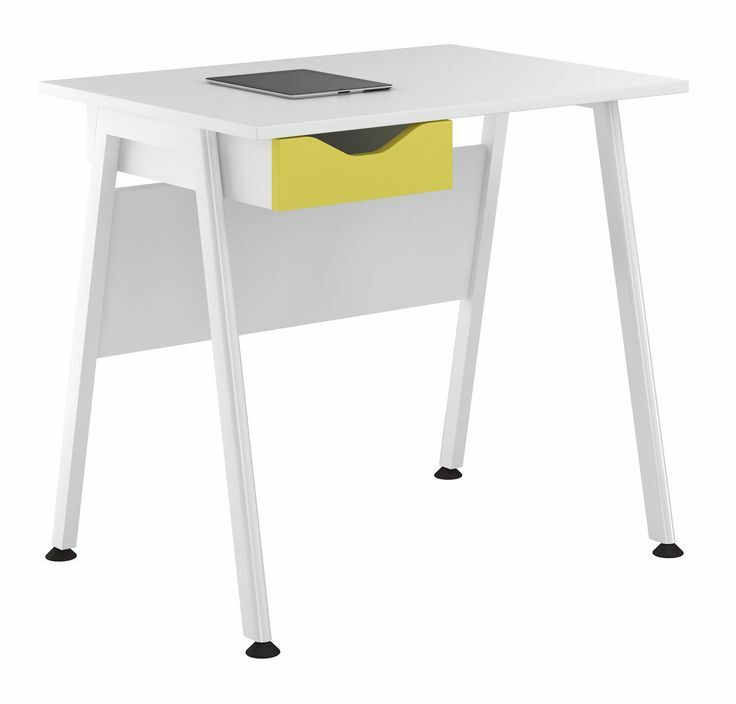 The Uclic Aspire Desk (above) comes complete with the single draw for just £142 including free delivery, and is available in 15 different colours. I love the contemporary, quirky design that’s simple yet effective. Wouldn’t this look great in your home office or a teen’s bedroom? 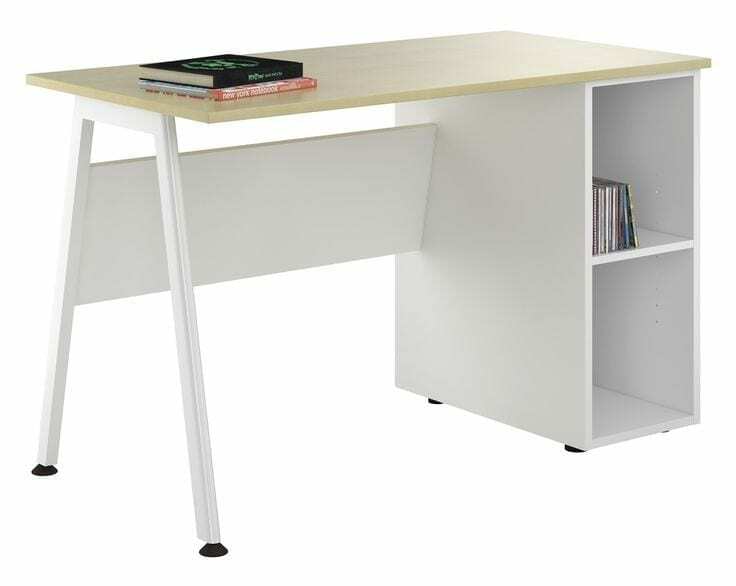 If you’re looking for a little more storage, this Aspire Desk comes complete with a 2-Door upper storage, and again is available in the full 15 colours. This one retails for around £270, so you’re prize would go a long way to purchasing this one. This Aspire desk comes complete with open storage base unit, in a variety of desk top finishes, including Maple, Walnut and Beech. 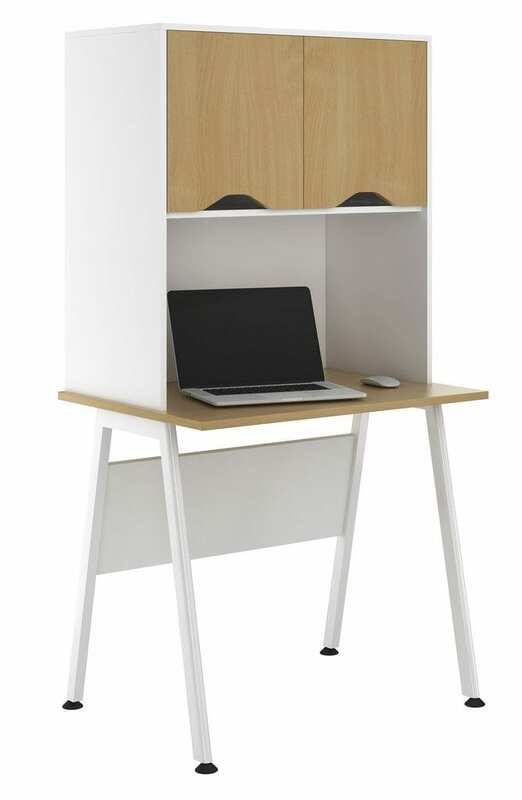 A great value, contemporary looking desk for just £169 including the free delivery, and 10 minute assembly time. This short film shows you how simple the UCLIC system really is: If you want to find out a little bit more about the range, or if you’re looking for inspiration on your home office, do check out the KOMO Blog, where you’ll also find me as a regular contributor. and leave a comment telling me you’ve done it. Leave a separate comment for every entry that you do for the purposes of the random number generator. The prize is £200 to spend on UCLIC desk furniture from Kit Out My Offic. There is no cash alternative. Entrants must tweet the message and leave a comment. Entrants can also follow Kit Out My Office on Twitter, follow Love Chic Living on Twitter and subscribe to the Love Chic Living newsletter. Separate comments must be left for each additional entry. All steps listed above must be followed to ensure the proper qualification into the giveaway. Open to UK residents aged 18 and over, excluding employees and relatives of Jen Stanbrook and Kit Out My Office. The winner will be chosen by random and contacted by email. Tweeted, followed and subscribed to the newsletter 🙂 Great competition! I tweeted @Miserable_Me1 i follow you and im a newsletter subscriber. I tweeted and followed @elanamorgan14. Thank you for the great comp. am following ‘kit out my office’ on twitter (@thebeesleybuzz). Followed both on Twitter as @CClarkeUK. I have tweeted @jojomapp and followed. I am already a subscriber. Already subscribed to Love Chic Living newsletter. Followed both accounts & subscribed to youtube channel & signed up for newsletter & tweeted. I’m already signed up to the newsletter. I’ve followed you on Twitter. I’ve subscribed to the Love Chic Living newsletter. subscribed to the chic living newsletter. I am subscribed to the Love Chic Living Newsletter too. I subscribe to you on youtube. I’ve signed up to the newsletter. I followed both and tweeted. subscribed to the Kit Out My Office You Tube Channel, subscribed to the Love Chic Living newsletter below. I am subscribed to the Love Chic Living Newsletter. I have followed kitoutmyoffice on twitter. Have subscribed to You tube Kit Out My Office.